Gone are the days when online gaming was just for windows with LAN,but you can enjoy online games and videos with your friends with almost on all new gaming consoles now by streaming media files directly from your Mac or Windows PC. The technologies in gaming are being rapidly attaining heights, and with the gaming consoles, a healthy addiction has been developed towards these, be it, PS3, XBOX 360 or any other. Multiplayer online games are just a medium to social interaction between the gamers across the world challenging their gaming potentials to show and succeed with the other challengers challengings. Also, read on How to remove Mac apps that cannot be uninstalled. Turn on your wireless network and make sure your PS3 is within range. Make sure that the ethernet cable isn’t plugged into the system. Turn on the PS3 console, go to Settings and select “Network and Settings”. Select the Internet connection Settings tab and the system will display a new screen saying you’ll be disconnected from the Internet. Select “Yes”. On the next screen, select “Easy” when the system asks you what kind of installation you want to use. When it asks you what kind of connection you have, select “wireless”. Select “Scan” on the next screen and the console will search for all available networks in the area. When the scan is completed, select your home network. Select your security settings, enter your encryption key and save your settings. You can test the connection by selecting “Test Connection” option. If the connection has been made, your network details will appear on the screen. You can do much more than online gaming with your PS3, and that with a few tweaks to your settings, and some software set up on your computer. Your music, videos, and photos media files on your windows or Mac can be played to your Playstation 3 over your home network. To do this, make sure the PS3 is connected to the same network via ethernet or wirelessly from your computer. Then, on the console, go to SETTINGS > NETWORK SETTINGS > MEDIA SERVER CONNECTION and make it to “Enabled”. Go to Library > Add to Library and add folders you want your PS3 to access. All personal folders on Photos, Videos and Music are selected by default, but if you have any other media files in other folders, simply add them. Click on the tab named “Stream” and check “automatically allow devices to play my media…” or enter “more streaming options” in it. You can also get to it through “Control PanelAll Control Panel ItemsNetwork and Sharing CenterMedia streaming options” and check Share Media. Press OK, your PS3 to show up as one of the devices in some quick time. Select it and click allow. You have to install a free software called PS3 Media Server as it will allow your MAC to show up on your Playstation 3 console. Connect to the network of use. Go to Navigation/Share settings and uncheck everything in the thumbnails section at the top. Now, at the bottom, add folders you want your PS3 to access that have media. Now go to Transcoding settings and change the maximum bandwidth to 14 or 15. Leave it to 0, if you have a very strong network connection. Click Save and Restart HTTP connection. Now, with the PS3, open the photos, videos or music tabs and you’ll be able to see your computer name in it. Make sure you are in the right section of media you want to explore i.e. you can’t view photos in other sections other than its own Music section. You can copy any music, photos or videos onto your PS3 hard drive by hitting the triangle button and select “Copy” while viewing a file. Xbox Live is an online multiplayer gaming platform provided and maintained by Microsoft. 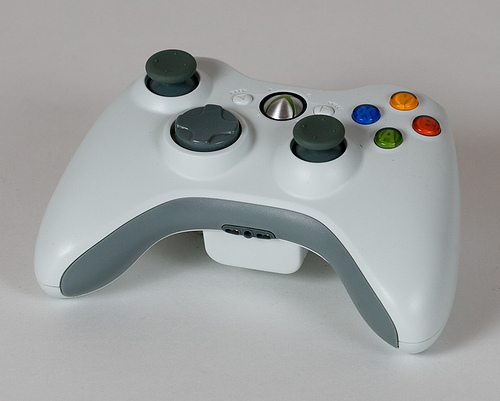 Play online on your Xbox Live for which you have to buy an Xbox 360 Wireless Networking Adapter and an internet connection. After connecting your wireless adapter, press the Guide button on your Xbox 360 controller, go to “Settings”, and then select “System Settings”. Go to Network Settings, select your wireless network and enter your password. You’re now connected to Xbox Live. Just like PS3, you can stream your computer data on your Xbox too. All it requires is the free version of the TVersity software and a Wi-Fi network. Make sure your computer and Xbox are connected to the same network. After TVersity is installed, run it and click on the plus symbol on the top left. Click “Browse” to select the folders you want to stream from your network hard drive. If the media has an incompatible format, TVersity can translate it. Select “Transcode” when needed in the Advanced Menu to convert media on the fly. Go to your Xbox and navigate to the Pictures, Music, or Video library where you will see a new category called “TVersity on [computer name]”. Select it and you’ll be able to see the media stored on your computer. This article was published in Internet and tagged Mac, PS3, Windows, Xbox 360.